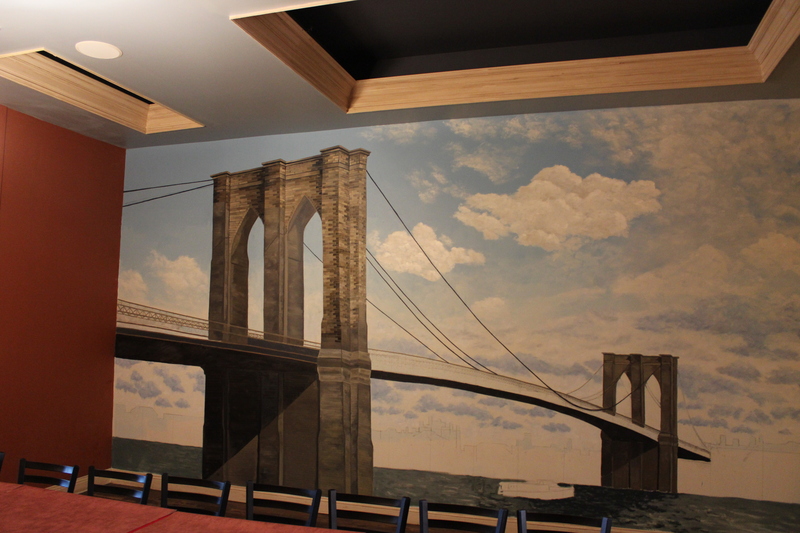 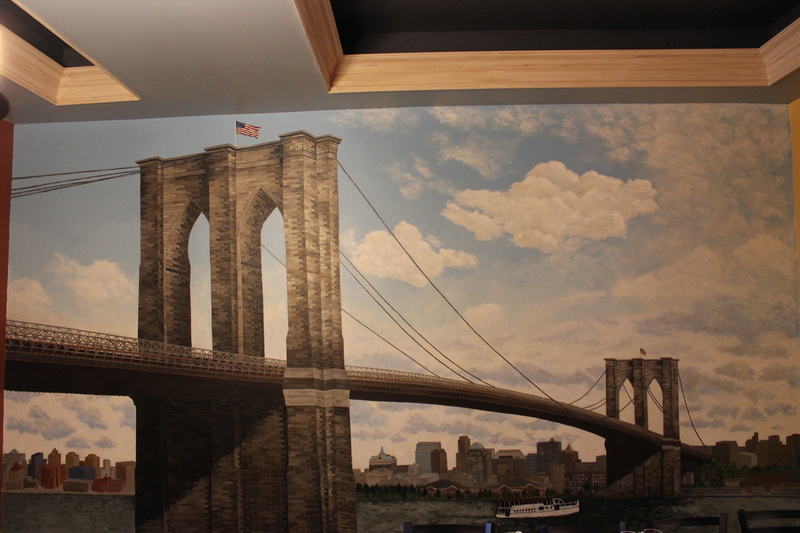 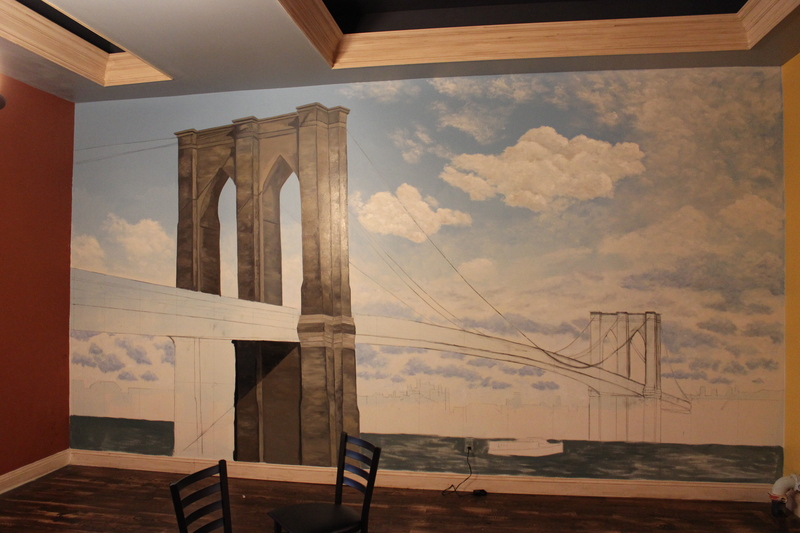 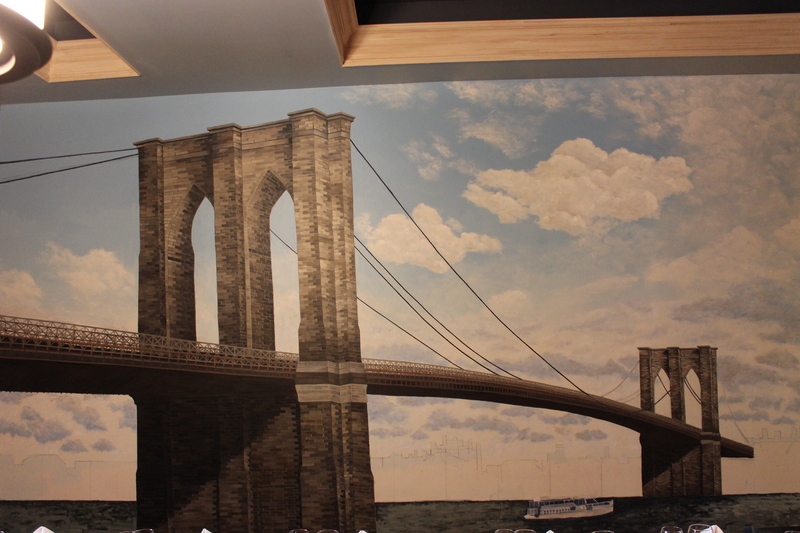 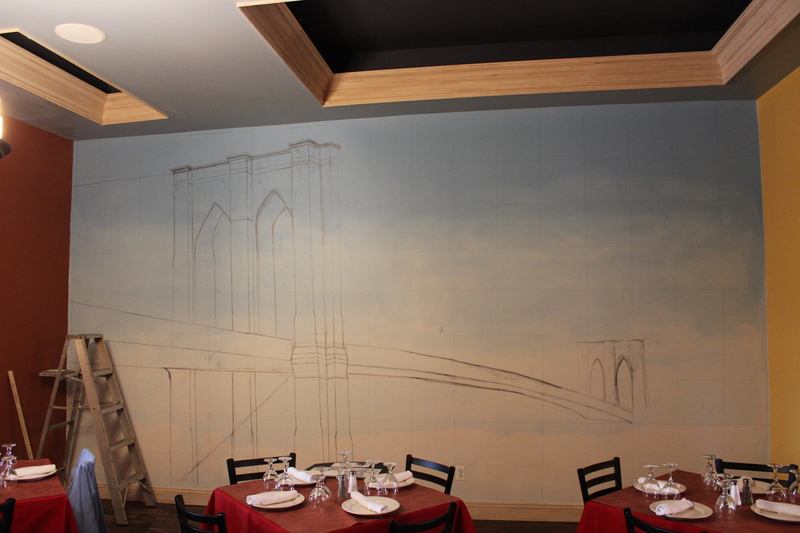 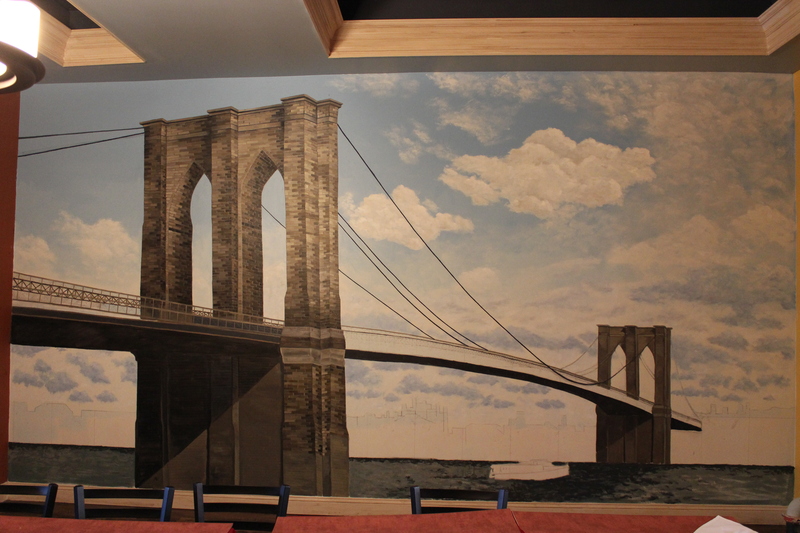 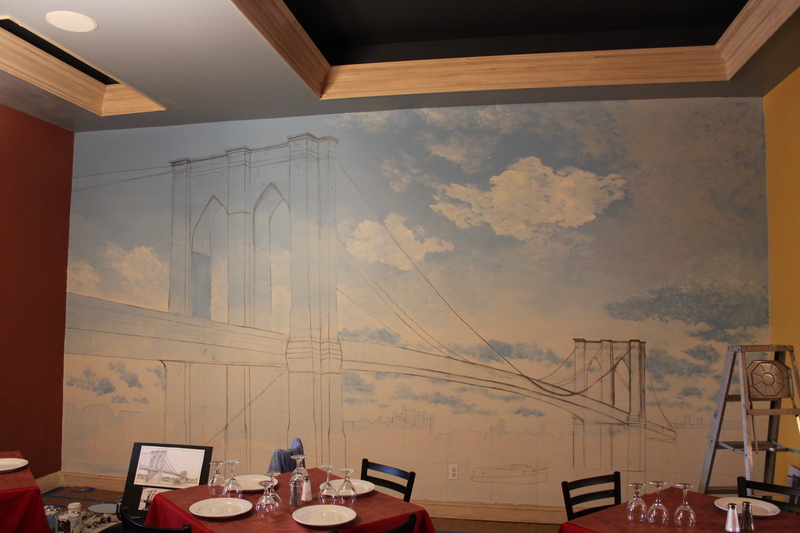 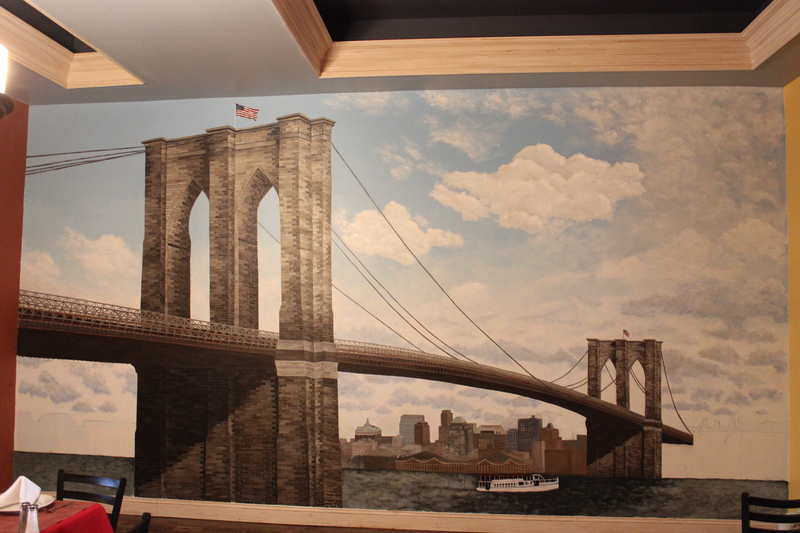 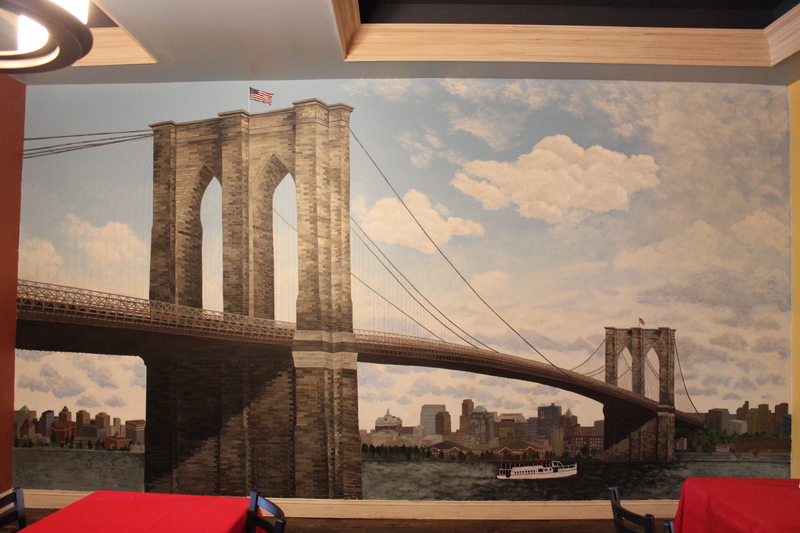 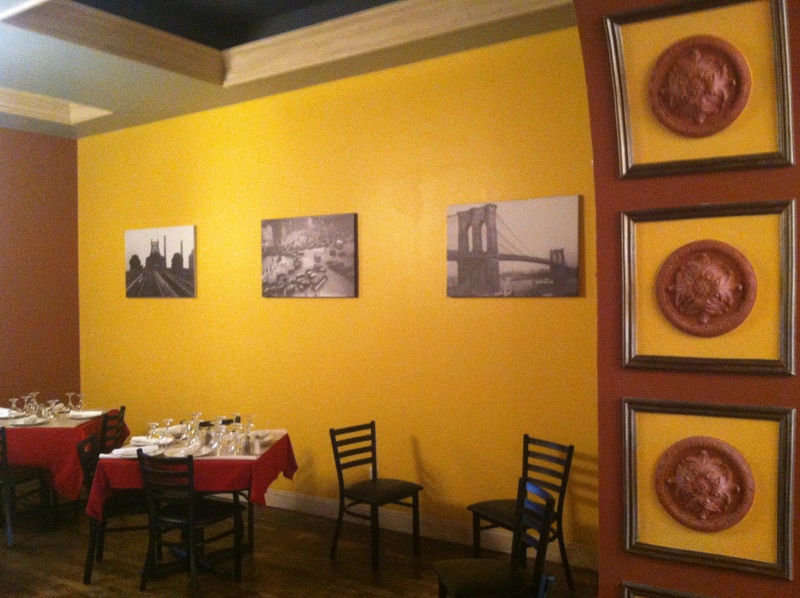 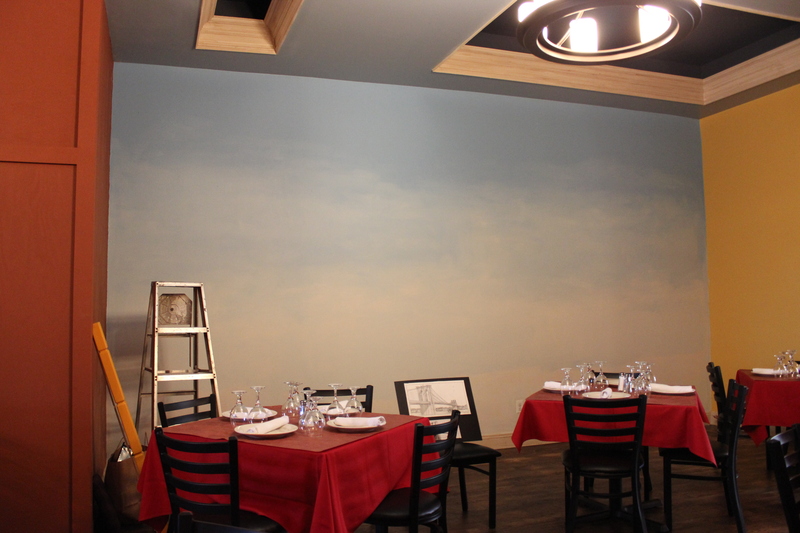 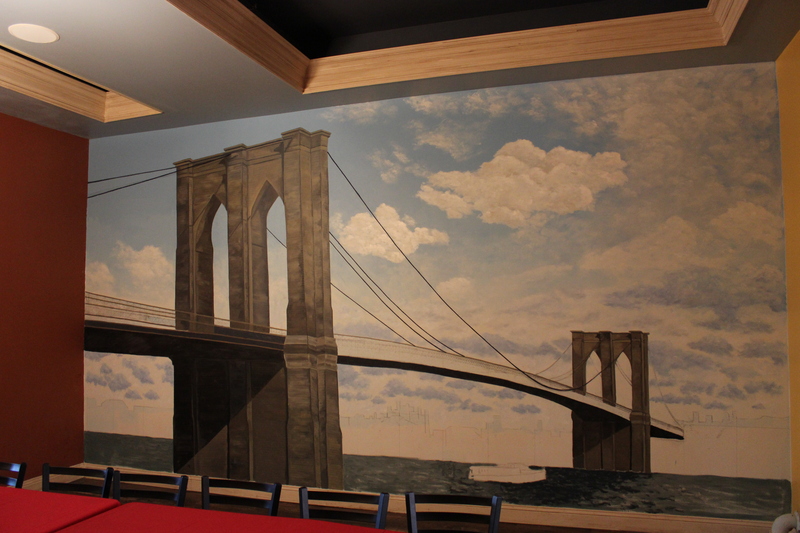 I just finished painting this mural of the Brooklyn Bridge at Patrizia’s Restaurant on Broad St in Red Bank, NJ. 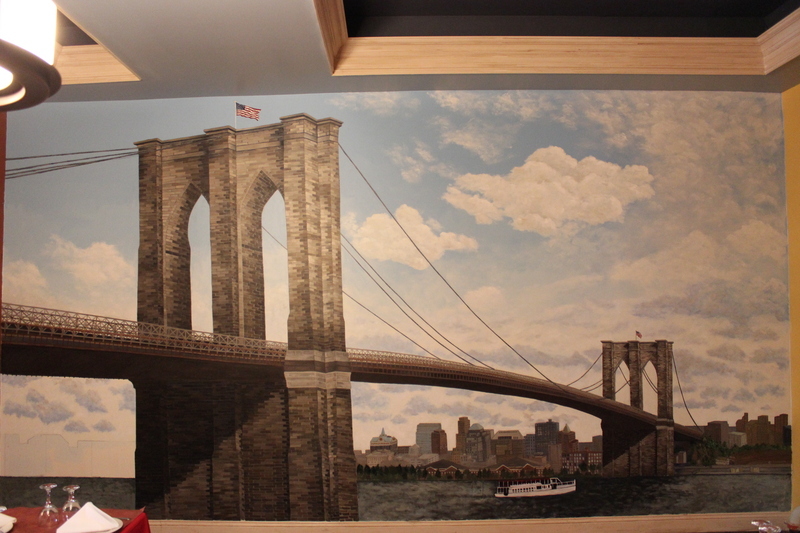 It took 18 days of labor to complete, below are day by day photographs I snapped at the end of each day. 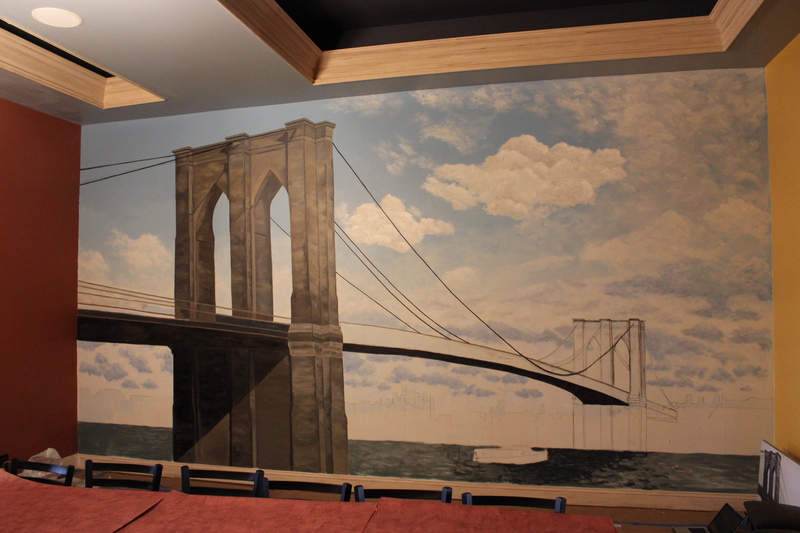 I’m going to upload a time-lapse video of the process soon. 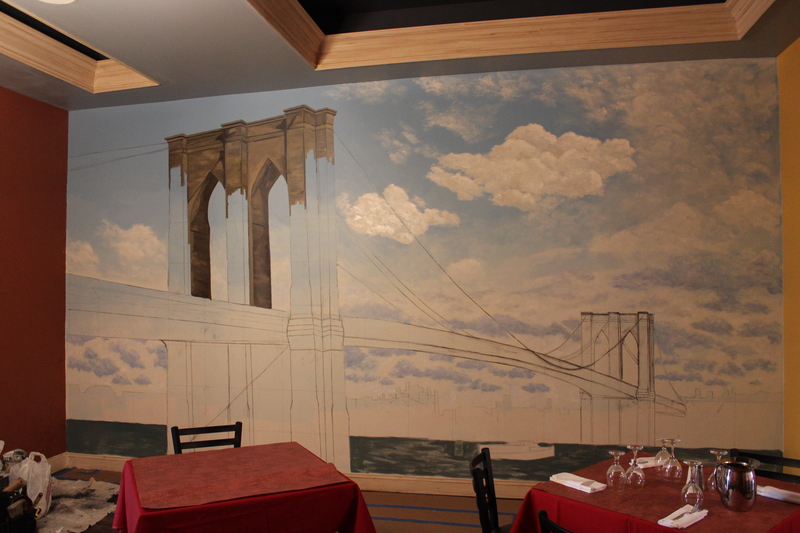 One evening next week I will go with my wife at the Patrizia’s Restaurant to admire your Brooklyn Bridge mural. 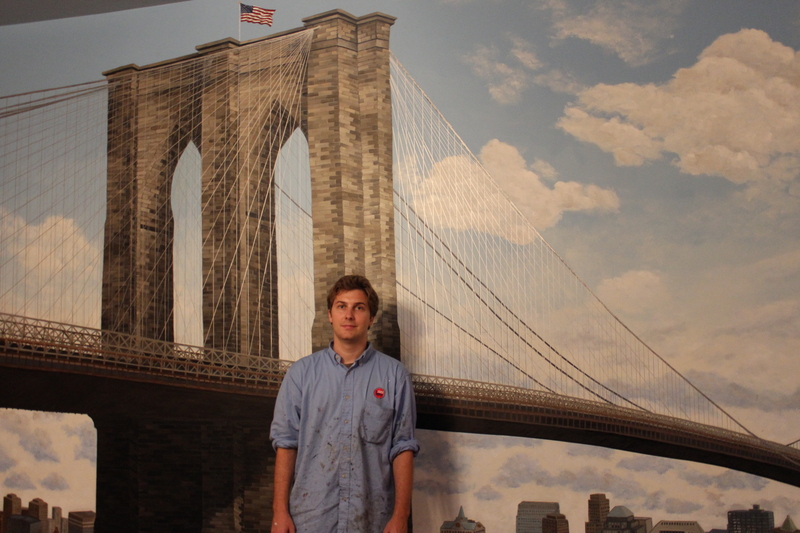 Your entire website is very interesting. 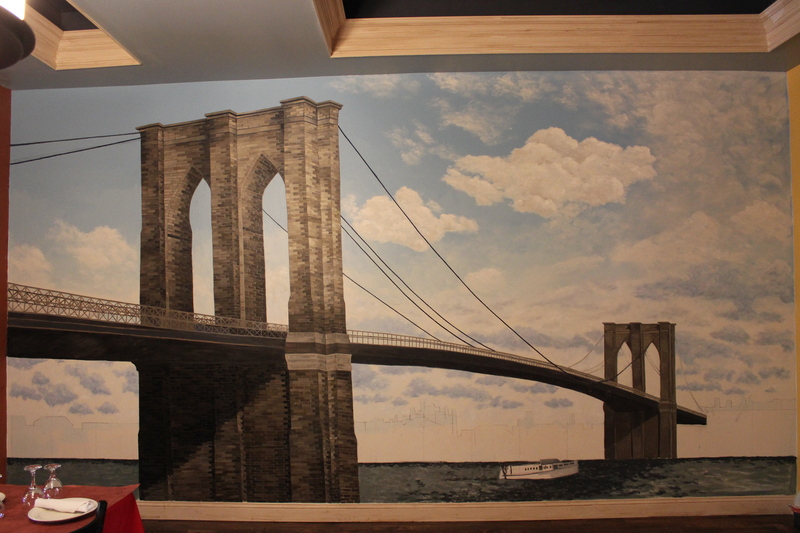 I will spent some time tomorrow to look at it completely. 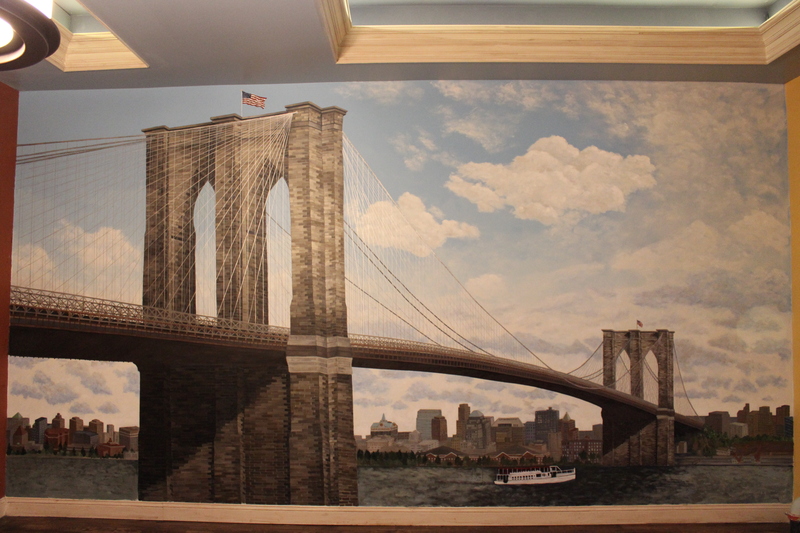 It has been nice meeting you today at the Monmouth Museum. 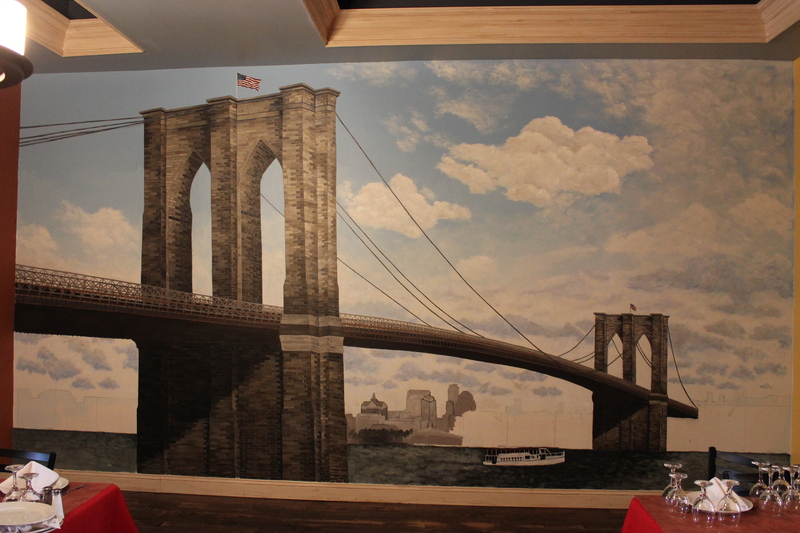 Very nice to be in touch, I look forward to following your work. 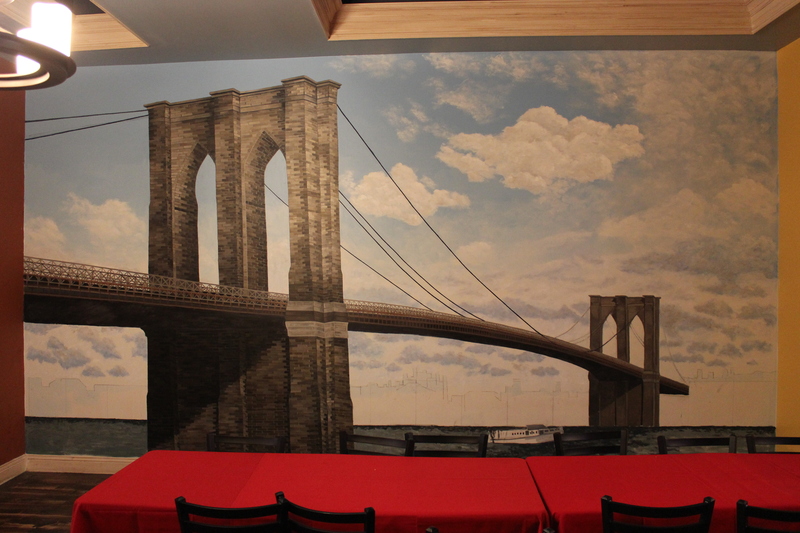 I hope to cross paths again in the future.